Aloe broomii is a robust succulent plant with a short stem. 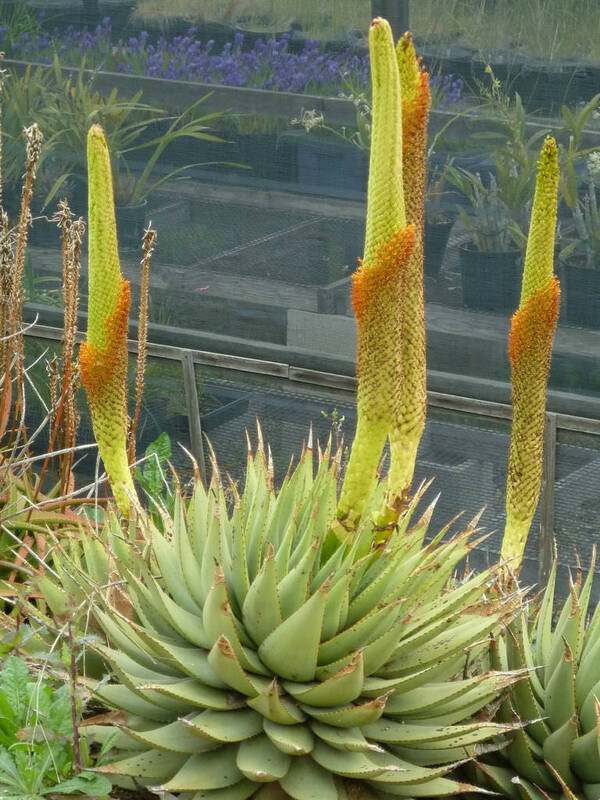 It grows up to 5 feet (1.5 m) high, including the inflorescence. 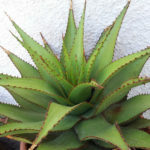 It is usually a single-stemmed Aloe, although it may split into groups with up to three rosettes. 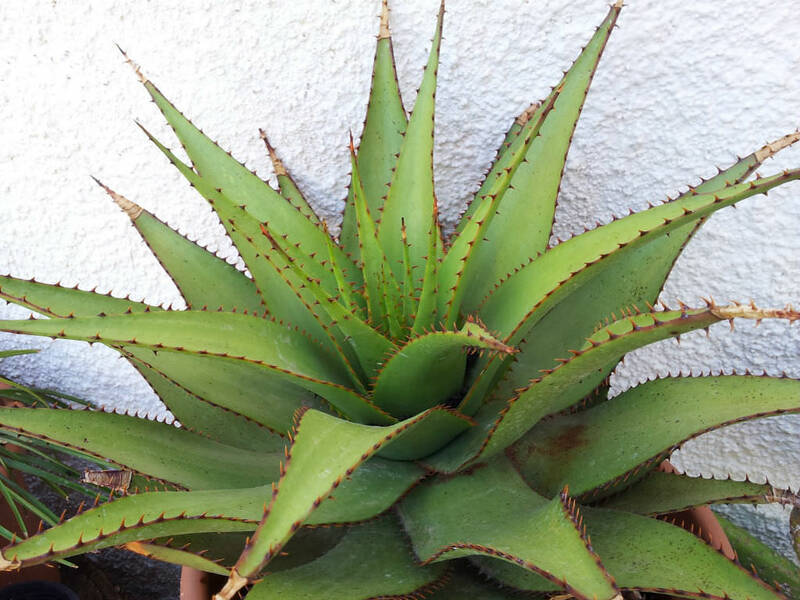 The leaves are much like that of other Aloes, with fleshy succulent leaves edged with small thorns. 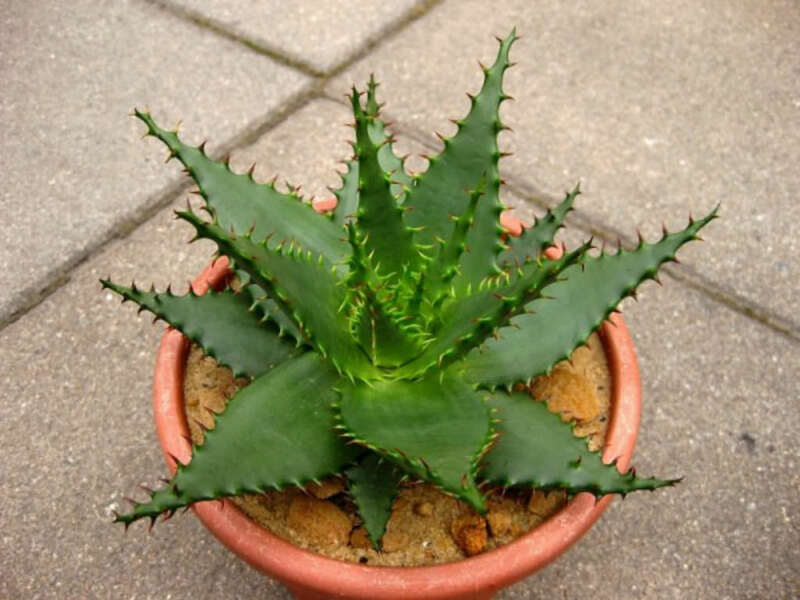 These thorns are very dark, compared to other species whose thorns are either green or white. 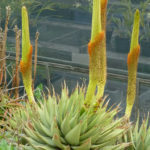 The most notable feature of this plant is its odd inflorescence, where the flowers are hidden by the extended bracts, giving it a sinuous, snake-like appearance, hence its name. Native to South Africa and Lesotho.